As Danny Zuko once sang, summer lovin’ — happened so fast. AND man! That was fast! How is it September 1st on Friday already? I’ve been filling out my editorial calendar the past few days for the coming months ahead and, I have to say, there’s plenty of summer content backlogged (from Australia, LA and Europe! ), so consider this my apology in advance. 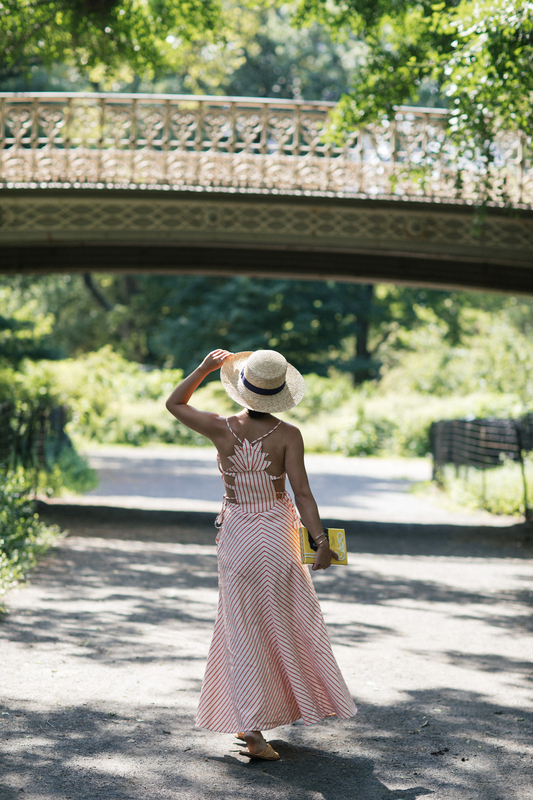 I know fall is knocking on our doors already and this crisp weather in NYC lately has only been expediting things, but I got summer on the brain. Still. That said, my hope is perhaps you’re somewhere that’s still somewhat warm? Or you’re going somewhere warm soon? Or you’re turning up the heat in your apartment to fake it? Either way, I’ve rounded up my summer MVPs that have been going strong these past few months. You’ve likely seen many of these pieces repeated numerous times on Instagram, many are now on SUPER sale and hey, Labor Day is right around the corner, so consider it one of our last hurrahs of summer before we start bundling up and sipping pumpkin spice everything. Speaking of Labor Day, what are you guys up to? I’m heading to a Yankees game on Friday (they’re playing the Red Sox!) and finally checking out the Smorgasburg out in Brooklyn on Saturday. After hopping around the past few weeks, it’ll be nice to have a very New York weekend for a change. THE BOATER HAT: By now, you’ve seen them everywhere and probably more times than you’d like to count on my head. In short, they topped off pretty much all my summer outfits. And they hide your summer hair, when you’re just a tad lazy to do it. 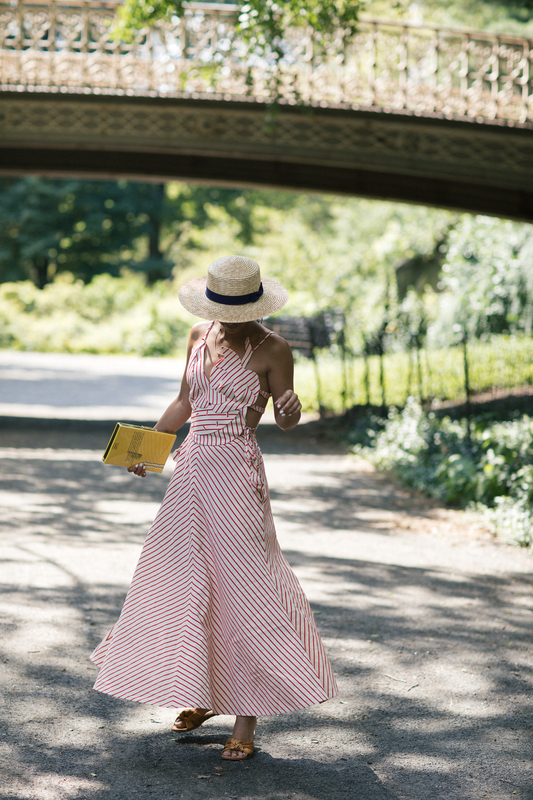 THE STRIPED DAY DRESS: Let’s put it this way: you’ll never regret a striped dress. All of these are on sale and ready for Labor Day weekend and can easily be worn next summer! THE SLIDES: These Zara slides were an early summer purchase for me. And then proceeded to wear them TO DEATH during all my trips. My regret? I should have bought 3 extra pairs! Such a wonderful summer dress! I seriously can’t believe it is already September by the end of this week! The weather is already changing! This dress is darling! You are looking incredibly charming in this summery outfit! I’m loving your dress! Beautiful photos & stunning dress! Amazing outfit!